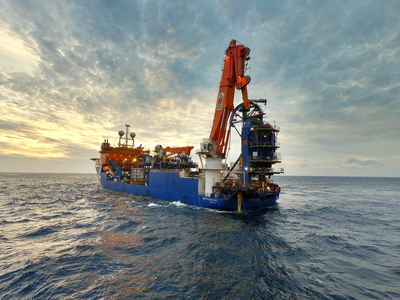 McDermott International, Inc. has announced it completed the first phase of the deep-water Atlanta Early Production System (EPS), located approximately 115 miles (185 kilometers) offshore southeast of Rio de Janeiro, for independent Brazilian Exploration and Production company Queiroz Galvão Exploração e Produção S.A. (QGEP). McDermott successfully performed the project management, engineering and offshore installation of all subsea hardware, including flexible pipes, umbilicals, umbilical termination assemblies, and associated equipment for the subsea umbilicals, risers and flowlines (SURF) project. McDermott also provided the flexible and umbilicals load out, logistics base and associated services. This additional scope was added to McDermott’s initial award. The Atlanta EPS project is the first engineering, procurement, construction and installation (EPCI) lump sum project by the McDermott team in Brazil. “Our outstanding performance on this project demonstrates a strong track record in the region and positions our company for future opportunities. We look forward to the opportunity to perform additional scope of work for the future phases of the Atlanta field for QGEP,” said Paulo Veronesi, McDermott Brazil Country Manager. McDermott’s load out base was located at Porto do Açu, approximately 155 miles (250 kilometers) north of Rio de Janeiro. The McDermott Atlanta project team developed the appropriate base lay-out and facilities, which was fully equipped with the required loading equipment and offices.